Our younger classes are focused on student who have not yet entered first grade. These classes mix traditional foundation training exercises with fun high energy games as a way to disguise the repetition needed to improve at any activity. After we bow in classes always begin with a 5-10 minute discussion on topics like "how can i control my anger" and "stranger awareness" as part of our Powerful Words program. Then as a group students warm up together with fun high energy exercises and traditional martial arts basics. After the warm up the classes split up into smaller groups with their own instructors and coaches to work on material relevant to where they are in there training. If behavior is up to expectations we end class with a fun exercise and bow out together. These classes mix more traditional foundation training with less games as a way to disguise the repetition needed to improve in the arts. 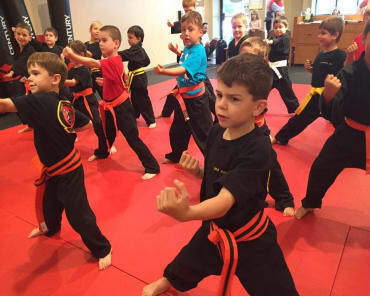 The class starts by bowing in together and putting on their belts. After we bow in we have a 5-10 minute discussion on topics like "school bullying" and "helping others" as part of our Powerful Words program. After our discussion we warm up together doing races or other high energy exercises and traditional martial arts basics to get everyone loose and ready to learn. Then we will split up into groups according to rank or work on proficiency that all students can work and understand. After class we gather together again so we can bow out and take our belts off as a group. This class is for more serious students who have made it up the ranks to at least a blue belt. Getting to this class has less to do about rank and more to do about attitude and self discipline. We gather together at the beginning of class to bow in and put our belts on followed up with a light stretch and quick topic discussion. We then jump right into high energy and high intensity warm ups to further improve the students physical foundation. We follow this up by varying types of traditional basics along with different training drills and exercises to work on timing and conditioning of the body. We then work on improving our art by working new material for our rank, working advanced drills or discussing and breaking down material and it’s applications. When class is over we gather together and bow out as a group. Private classes are held in different locations based on the availability of the instructor and the schedule of the student. Private classes can be set up in different categories such as syllabus, traditional, tournament and coaching. What is taught depends on what the student wants to learn. Prices for private classes vary depending on times and locations. So what are you waiting for? Sign you and/or your child up for Kempo Karate in Sudbury today! All you have to do is fill out the short form on the right side of this page to request more information. We look forward to hearing from you soon! 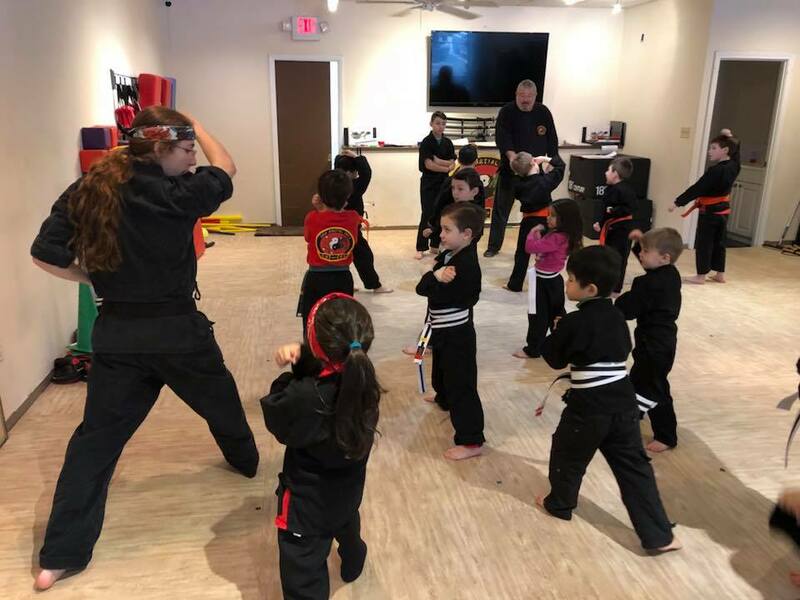 We have known Shihan Dan for about 5 years when he taught our then pre-schoolers basic karate and self defense at their Preschool. When I heard he opened a Martial Arts school in town, we jumped at the chance to sign up. Dan has an amazing way with kids. He pushes them to be the best version of themselves that they can be but without pressure or intimidation. It is so much more than just a karate school. Our kids look forward to attending class as often as they can and they have no idea how hard they are working because they are having so much fun. We recommend this school to everyone we know. I absolutely recommend DMA martial arts! Since my daughter started, not too long ago, she has made great strides. She is more confident in daily tasks, she is gaining such self control and learning about respect in a lot of aspects. Dan is a caring and wonderful teacher and his staff is great! 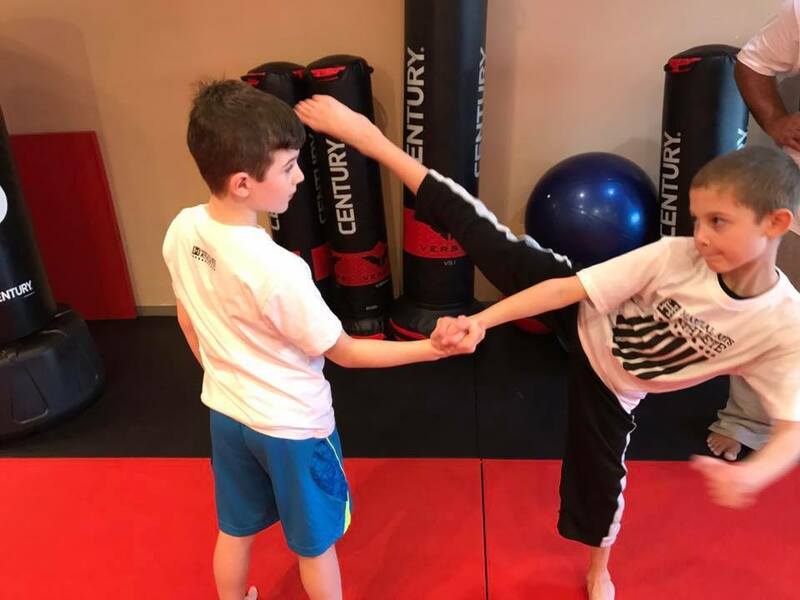 My oldest child had the privilege of training under Shihan Dan years ago at a different dojo and we were thrilled when DMA opened in Sudbury. My 5 year old daughter has been a student since the dojo opened and she loves it. 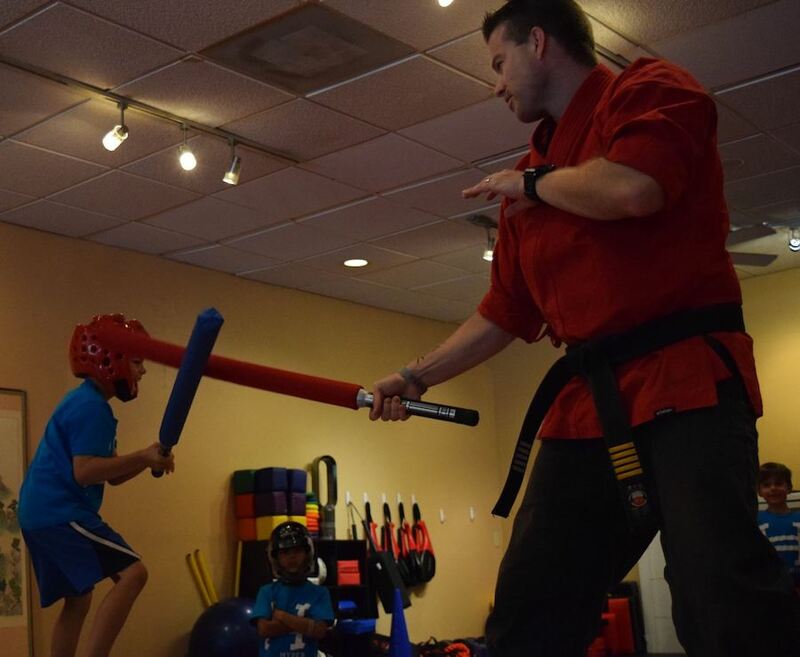 Shihan knows how to appeal to the kids interests and to make classes fun as well as educational. And he also has the patience of a saint. 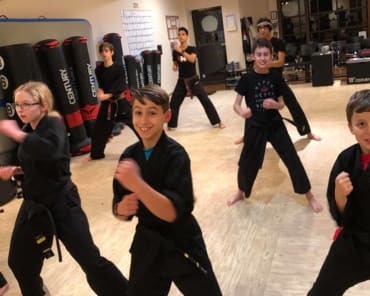 With many extra activities such as all day camp weeks during the summer months, day training camp for some school holidays... he even offers an occasional parent night off where the students hang out at the dojo for a few hours of activities so parents can have a "date night" or just a couple hours off. I highly recommend you check DMA out.